It is important to know tips to reduce bounce rate so your website will have higher conversion rate. Bounce rate is a rate where the visitor leaves your website after only visiting one page. Thus, you would not have change to convert those visitors since they do not visit any other page within your domain. In a way, this rate also shows how relevant your content to the visitors as well as how good the visitors experience when visiting your website. By having lower bounce rate means visitors feels that your content is more relevant and they also have good experience which makes them want to explore your website more. Here are some of the methods that you can apply to reduce the bounce rate on your website. The most important tips to reduce bounce rate that you should pay attention is to improve the readability of your website content. Especially when your content is mostly consists of text. You need to ensure that the formatting makes the content easy to read. If the formatting is too rough which makes the text chunks together in large paragraph, then people do not even want to read them. This will make them leave your website straight away and increase the bounce rate. This is why; it is important that your content have great readability. 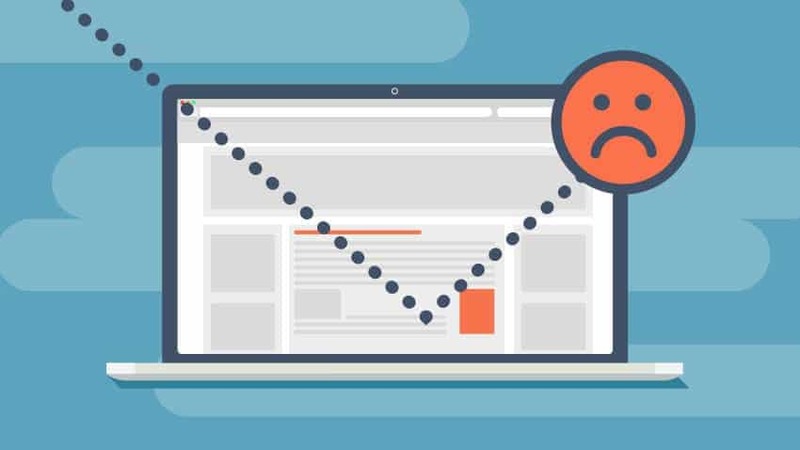 A survey done in 2013 shows that around 70% of visitors hate popup especially one that is irrelevant and only shows ads. While it is able to make sure that the visitor sees the ads that you put on the popup, that does not mean the visitors will like it. They will even feel that the popup disturbing since they lost focus on their reading. This will also make the reader leave your website when they think the popup is highly intrusive. This is why; it is better to avoid using popup for your content and put the content in other area of the page instead of pop them out to the viewers. Another best tips to reduce bounce rate is to frequently update your website. However, you should also make sure that the content that you put on your website is right. Some content might have wow-ing impact which makes your visitors surprised, however that content might not necessarily useful for them. Content that is right will still make the visitors feel surprised but also makes them feel that it is really helpful for them. Thus, put several tips that are new, fresh and useful. Not all keyword useful for your website, this is why you need to have a clear target on which keyword that you want. Make sure that the keyword that is targeted by your website truly have high value since this also means that the traffic will also have high value as well. Those are several tips to reduce bounce rate that you can apply to your website to make the visitors stays longer and enjoy best experience. What are LSI Keywords Role in Increasing Rank?